I know I say it every year, but I can’t believe that 2015 is over. I feel like it really flew by with no time to do any of the things I promised myself I would do, but when I look back, I actually did a lot. I like to take the end of the year to take the time to contemplate and reflect, and just like last year, I perused the archives to see what I spent the year cooking. In 2014, I did a round up of recipes that I loved, but this year I’m mixing it up a bit and posting up the recipes that were the most popular as decided by you! It looks like you guys are obsessed with chicken, pork bell, comfort food, and quick loaves. Are any of these personal favorites or did I miss a post that you can’t get enough of? 1. 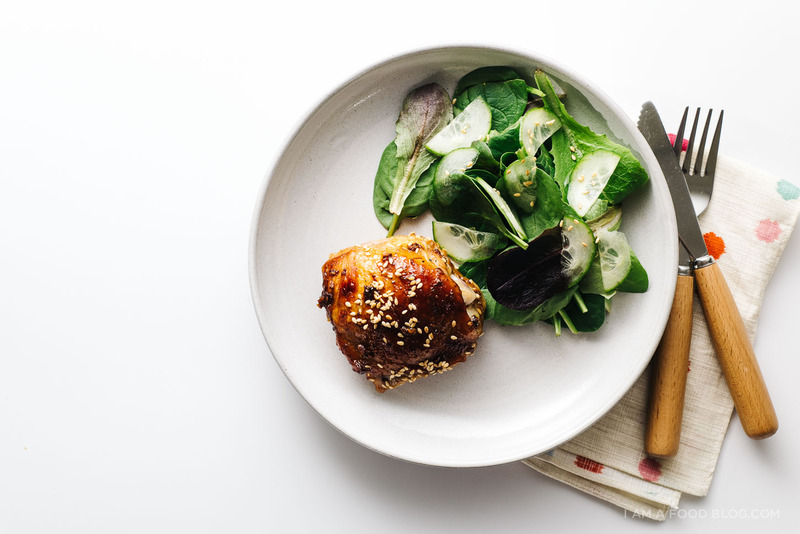 Easy Oven Baked Sesame Chicken Thighs: Oven baked for ease, these chicken thighs are packed full of flavor and are delicious on their own, with a simple salad, or rice. 2. 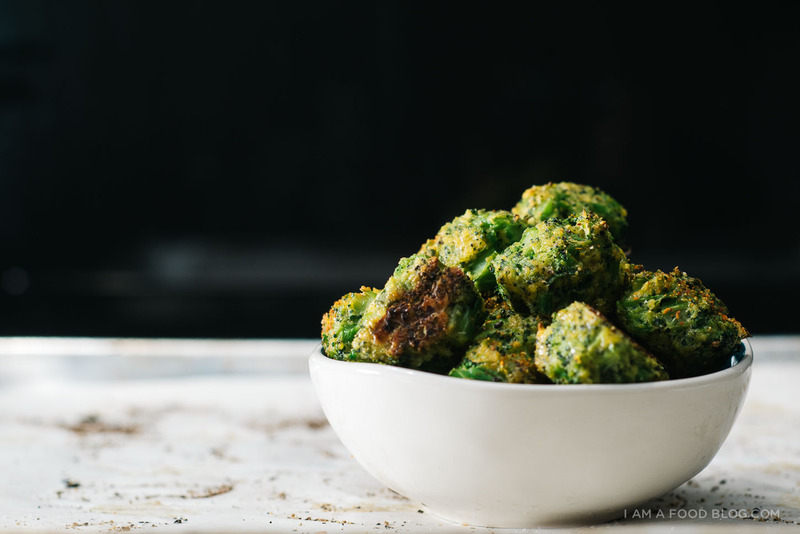 Cheddar Cheese Broccoli Tots: I love tots, especially when they’re make of broccoli and filled with cheddar! 3. Crispy Oven Baked Honey Garlic Tofu Bites: I eat these guys like popcorn, no utensils needed! 4. 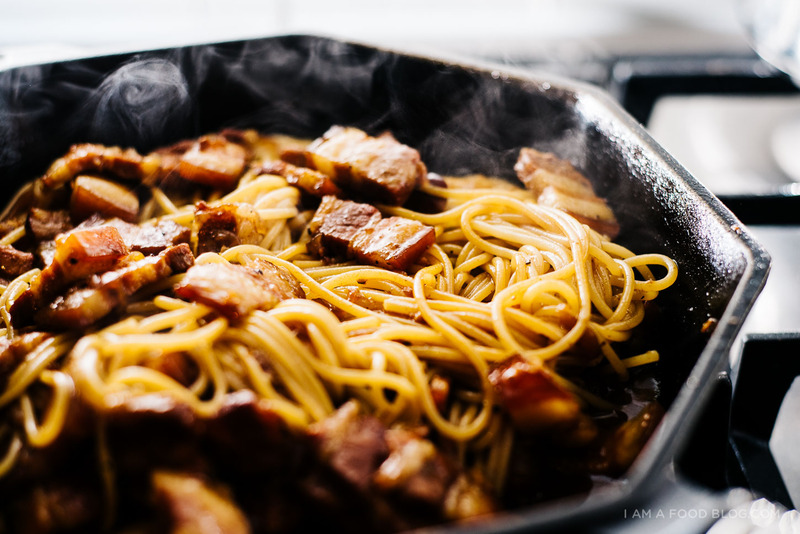 Vietnamese Caramelized Pork Belly Pasta: This is incredibly addictive and one of the dishes that Mike asks for on the regular. 5. 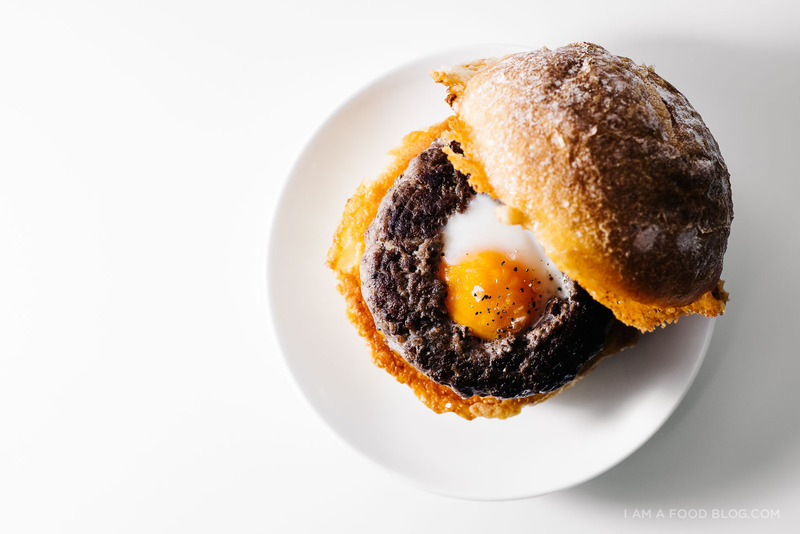 Egg in a Hole Burger with Frico Cheese Buns: I have an obsession with egg-in-a-hole things. I’m pretty sure this will continue in 2016. 6. 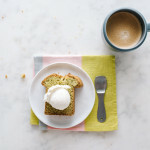 Avocado Bread: It’s like banana bread, but with avocados. 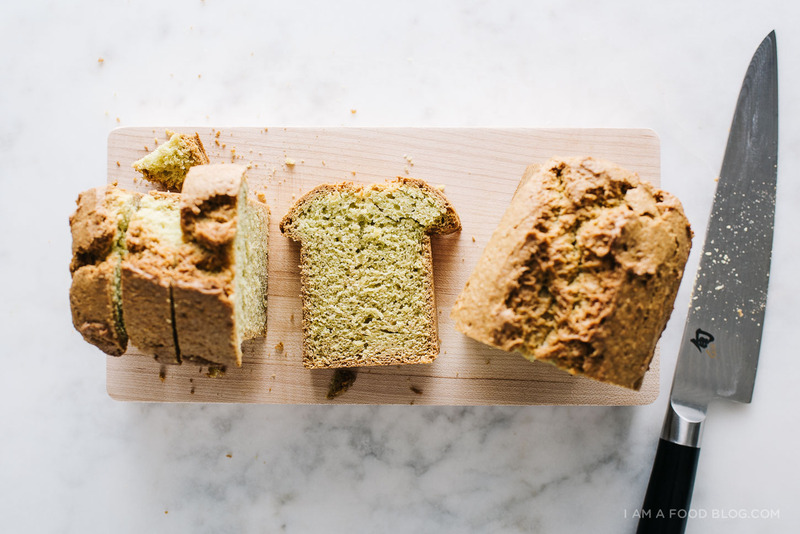 Slightly sweet, dense, cake-y, and perfect with a scoop or ice cream or toasted. 7. 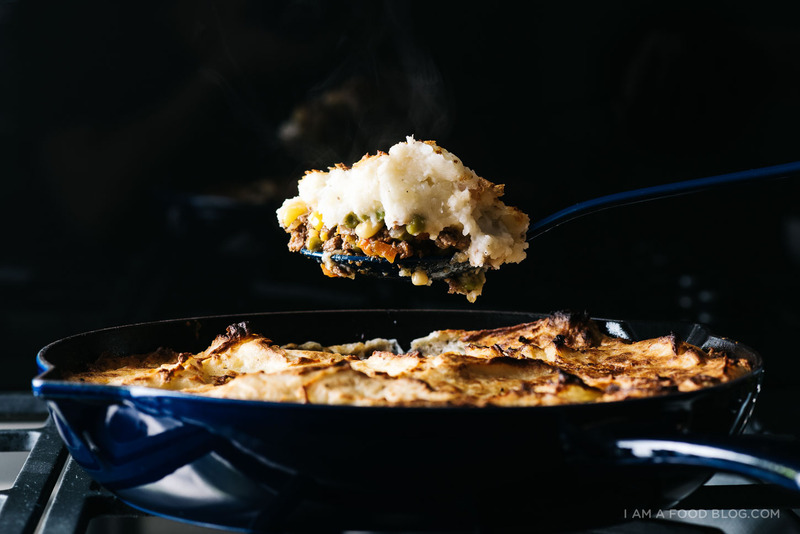 Roasted Garlic Cream Cheese Mashed Potato Shepherd’s Pie: Comfort food with just a little bit extra: roasted garlic and cream cheese. 8. 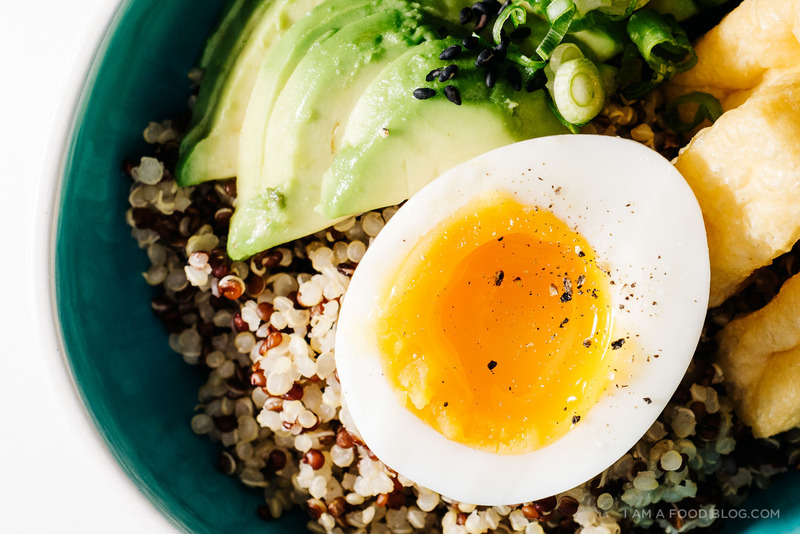 Quinoa Brunch Bowl: I like my brunch bowls with quinoa, tofu puffs, avocado and soft boiled eggs. 9. 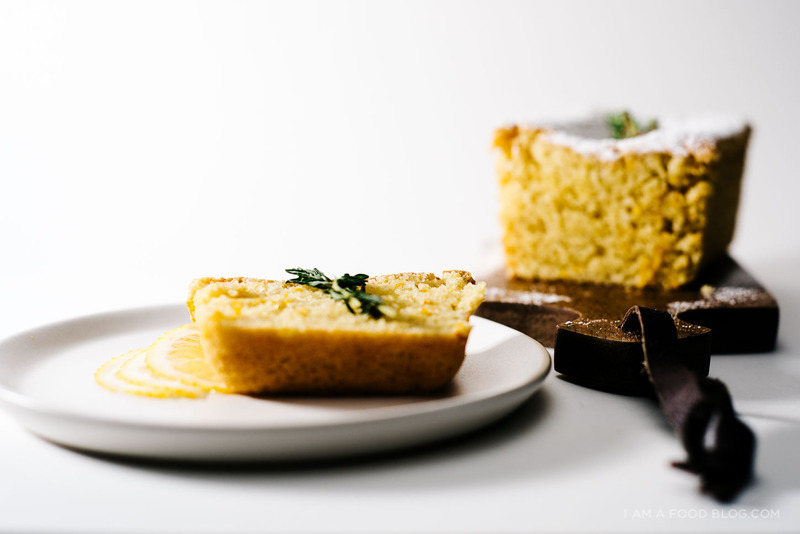 Almond Lemon Loaf: Lightly sweet, tender, and full of almond flavor. Bonus: it’s gluten free! 10. 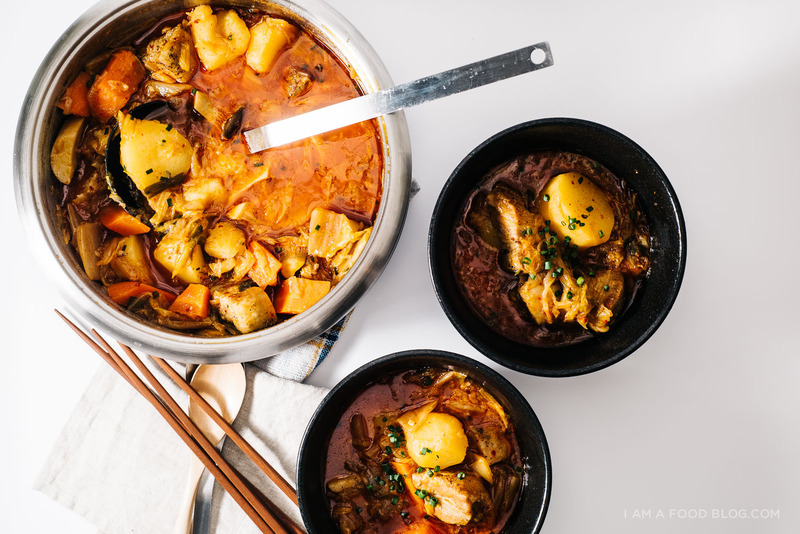 Pork Belly Kimchi Stew: My kinda comfort food – spicy, meaty, and heart-warming. Two-thousand and fifteen was a fun one, but I’m definitely ready for 2016! That being said, I wanted to thank each and every one of you for coming by and reading this lil’ site on the regular. I love all of your comments, emails, and instagrams of the food you make! I get so fuzzy inside when I think about you cooking and enjoying my recipes. GAH! Thank you times a million! Happy New Year and cheers to 2016 and all the fun and food it will inevitably bring! 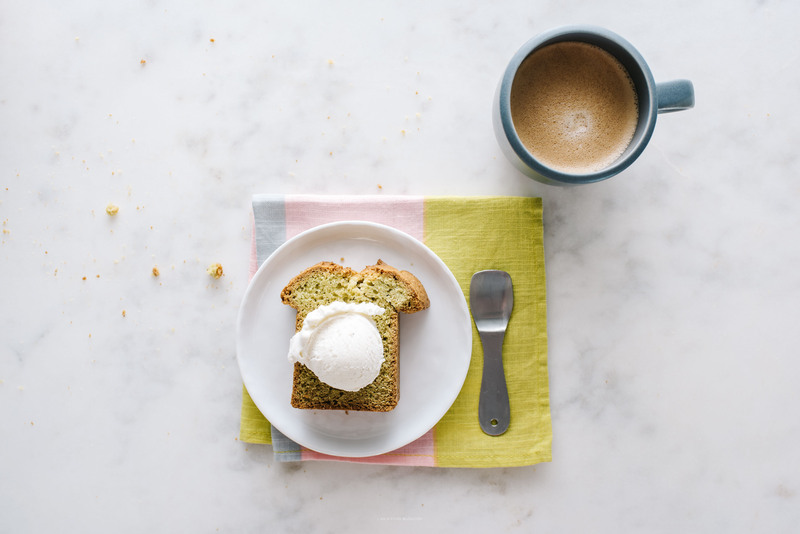 PS – Is there anything you want to see more of on the blog? I keep thinking I’m going to get into video but it hasn’t happened yet. If you have any recipe ideas, hit up the comments! Happy new year! 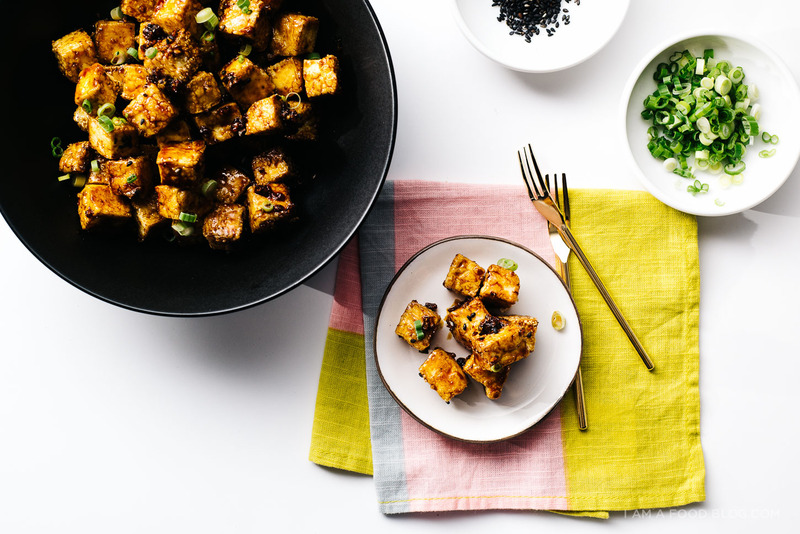 thank you for your awesome blog, it’s one of my favorites and I hope to try a lot more of your recipes in 2016.
i loved how crispy the honey garlic tofu bites got (and with just cornstarch!! and no oil!! still in awe over that one). i still haven’t gotten around to trying your avo bread or kimchi pork belly stew, but that will happen someday (hopefully soon!). I am about to make your roast beef, egg + brie on puff pastry … made it last year and now it’s a tradition. Thanks for all the work you do, Happy New Year! happy new year to you too, steph! You left out your Vietnamese fish tacos! I make that frequently and just had it tonight. I add a couple of things- a squiggle of Kewpie mayonnaise, some Thai basil, and a jalapeno herb sauce that’s a Mexi-Viet fusion based on one served at Same Same in Philadelphia PA. Your Sriracha roasted cauliflower is also a favorite of mine.